Keep your cymbals safe and sound wherever they go. 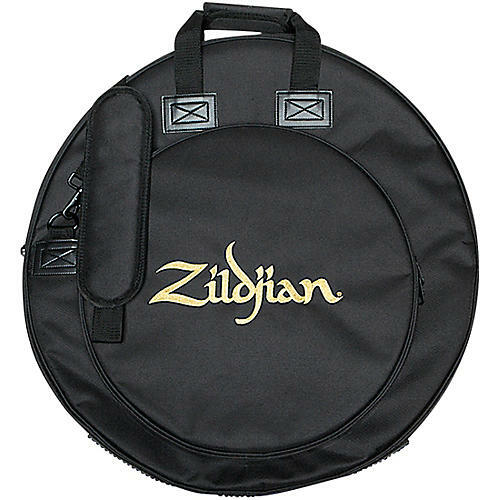 Zildjian's updated 22" Premium Cymbal Bag features a 16" hi-hat pocket that is perfect for storing multiple hi-hats, effects and stacks. The five graduated cymbal dividers keep your cymbals safe while not getting in the way during setup and teardown. The new cymbal protection system that is composed of rubber is built into the inside and outer bottom of the cymbal bag is made to hold up against the heaviest wear and tear. Plus the upgraded shoulder strap distributes weight more evenly.